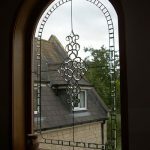 These Half Glazed Leaded Glass designs are made to order so if you wish to change any colours, this can be done at no extra cost. 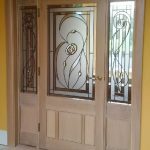 As we are a bespoke glass supplier, we can create matching top panels and side panels for door entryways if required. 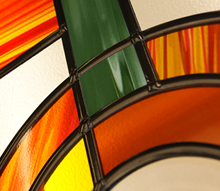 To find out more about our Overlay Stained Glass, please visit our Overlay Stained Glass page. 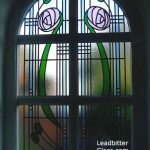 We offer different ‘lead finishes’ but as standard, our Aged Lead Option 2 lead is included in any quotes given. 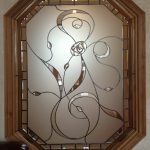 See our Leaded Glass Options for more lead finishes. 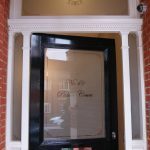 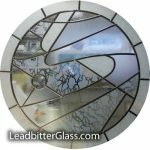 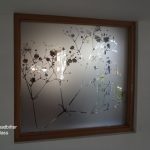 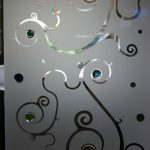 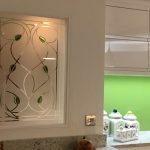 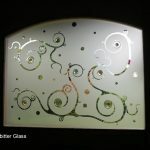 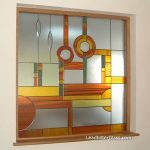 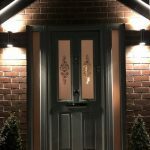 Leadbitter Glass can also create your own bespoke glass design so if you require a glass panel for a door that matches in with a neighbours door or you want to draw your own pattern, please email us your ideas and we will be happy to calculate a price for your new glass.